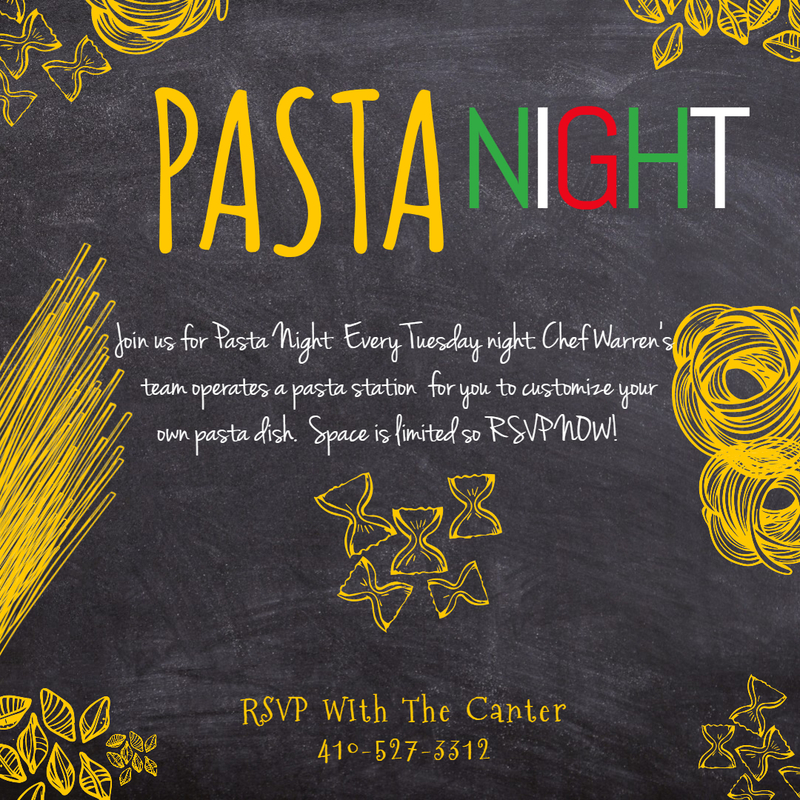 Join Chef Warren & the culinary team as they cook your pasta to order for you and your family. We feature various pastas along with meats and sauces. Please RSVP with Gabi 410-527-3300.